Some of the rarest and most beautiful and exotic succulents in the world come from Somalia. And two of the absolute rarest plants are found around these two Somali towns and bear their names. The first is Pseudolithos eylensis and the second is Pseudolithos harardheranus. Its name coming from the Greek pseudo, meaning “false,” and lithos, meaning “stone,” for the appearance of the stems, pseudolithos constitute some of the most succulent species among the Stapeliads, with the tessellation of the stem’s surface being a characteristic hallmark of the genus. These plants are also among the most prized of all succulents by collectors worldwide. Somalia is Africa’s easternmost country. Its terrain consists mainly of “Plateau” plateaus, “Plain” plains and highlands. In the far north, the rugged east-west ranges of the Karkaar Mountains lie at varying distances from the Gulf of Aden coast. The weather is hot throughout the year, except at the higher elevations in the north. Rainfall is sparse, and most of Somalia has a semi-arid to arid environment suitable only for the nomadic pastoralism practiced by well over half the population. Only in limited areas of moderate rainfall in the northwest, and particularly in the southwest, where the country’s two perennial rivers are found, is agriculture practiced to any extent. 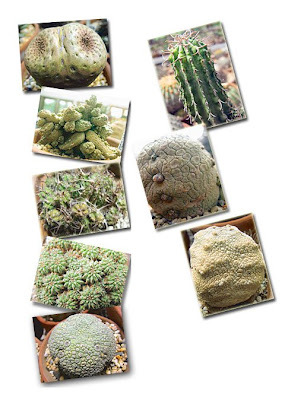 Examples of some of these endemic succulent species, found nowhere else in the world, include Pseudolithos cubiformis, Euphorbia columnaris, Euphorbia turbiniformis, Euphorbia sepulta, Pseudolithos caput-viperae, Pseudolithos migiurtinus and Euphorbia phillipsiae. As you can see from the photos, some of these succulents have specialist adaptations to the arid and sometimes inhospitable environment in certain parts of Somalia, notably the various Pseudolithos species. Many of these plants remain among the very rarest of all succulents and are coveted by collectors worldwide. In part two of “Somalia’s untold beauty,” I will describe more of the fascinating succulents endemic to this country, their state in the wild, conservation efforts being undertaken to insure their future survival, and some tips on cultivating these wonders of Nature.